Back in 1990 I had just moved to New York and was interning at New Yorker Films. 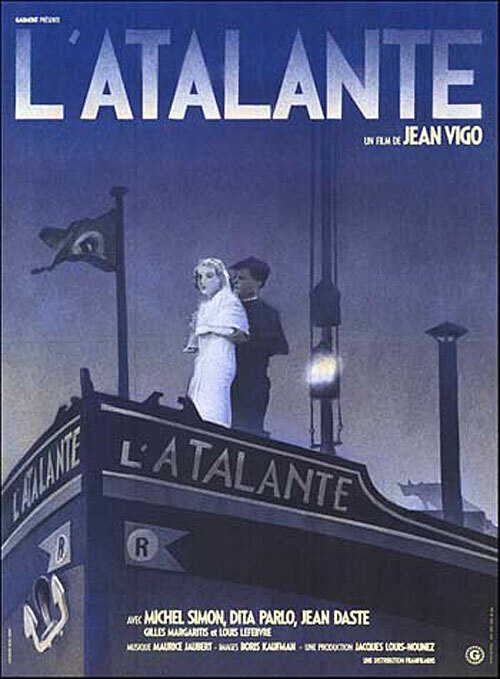 They had just picked up the restored version of Jean Vigo's 1934 masterpiece L'atalante, one of my favorite films, and I started doodling some designs for posters for the film in the vain hope that it might be my big break as a poster designer, only to discover that they had decided to use the French re-release poster. It was quite beautiful so I couldn't complain. The other day I was looking at the poster and I discovered something I had never noticed before, and which would have meant nothing back in 1990: there in the bottom left hand corner it said "Illustration: Michel Gondry." Gondry would have been 26 at the time and three years away from his breakthrough directing Bjork's Human Behaviour video, though he had been making promos for his band Oui Oui since 1988. 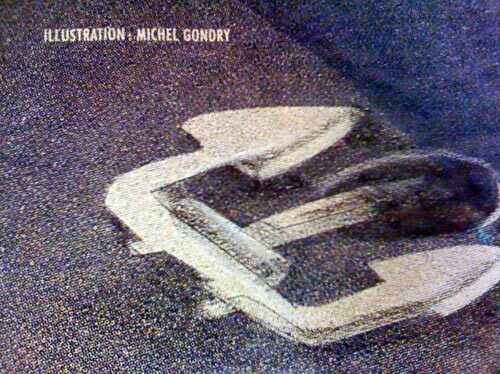 As surrealized in his semi-autobiographical reverie The Science of Sleep, Gondry had worked as a graphic designer for a small ad agency in the late '80s, which may have led to the poster gig. But it should come as no surprise that L’atalante is in fact Gondry's favorite film of all-time: its brilliant combination of whimsy, romance and invention is perfectly Gondrian avant la lettre. New Yorker used the poster for its 2003 DVD release, but there is no mention of the illustrator in the credits and I'm sure they had no idea. Gondry has a new feature out of competition in Cannes this month titled L'épine dans le coeur (Thorn in the Heart), a documentary reportedly about his 80-year-old schoolteacher aunt, and later this year he'll be corralling Seth Rogen and Stephen Chow in The Green Hornet. But it remains to be seen whether either film will top these three sublime minutes from his Flight of the Conchords episode earlier this year. Jean Vigo would have been proud. I just saw the film the other day for the first time and it never ceases to amaze me how a film from so long ago can seem like it is still ahead of pictures made last week. I always meant to watch it but what pushed me to hunt it down was the fact that Ken Russell mentioned that it was one of his favorite films of all time. I suppose that’s true of many directors but I could definitely see the influence on Russell as well as Gondry. Watching this tonight. Palo Alto library FTW! Let us know what you think biraryan, it’s such a gem. What a deft stroke of gumshoe work, Adrian; congratulations on being so observant and thanks for sharing it with us. That is pretty amazing, it is a bit disappointing you missed out on your design, but that doesn’t seem that bad if you’re runner up to Gondry. That’s really cool!